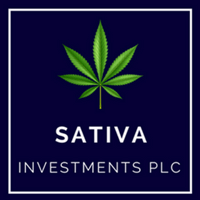 Sativa Investments PLC (NEX: SATI), the UK’s first medicinal cannabis investment vehicle, announced today that it has appointed, with immediate effect, Dr Nick Horniman, BVSc MRCVS, as its Director of Regulatory Affairs, a senior management role, to coordinate the Company’s overall regulatory strategy and ongoing relationships with regulators. As Director of Regulatory Affairs, Nick will implement the Company’s licencing strategy through its continuing relationships with the relevant UK agencies and research centres surrounding the complex regulation of the cultivation of Cannabis. This includes the Company’s engagement in research and export opportunities, growing licences for the cultivation of Cannabis for supply to pharmaceutical manufactures of Schedule 2 Cannabis Based Products for Medicinal use in Humans, and working with the Veterinary Medicines Directorate to explore the use of cannabis-based products for parallel treatment of animals, in particular the dog & cat pet market and the equine industry. 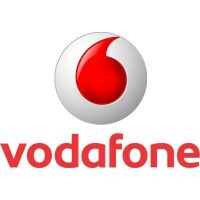 Agencies with which the Company is already in dialogue include the Medicines and Healthcare products Regulatory Agency, the Food Standards Agency, The National Institute for Health and Care Excellence and the Home Office Drugs Licensing and Compliance Unit. Dr Horniman has thirty years’ experience in the veterinary industry, and, for more than 20 of those years, he set up and ran a group of private veterinary practices, which he has since sold. In addition to this, he worked with corporate practices as a veterinary surgeon and consultant and has worked with online veterinary pharmacies and prescription software companies. Nick started out his veterinary career by completing his Bachelor of Sciences in Veterinary Science at the University of Bristol. Nick is also the monthly veterinary surgeon on BBC Radio Gloucestershire. “CBD and medicinal cannabis are new industries in the UK and they are flourishing quickly to meet unmet demand from both patients of the medical profession and the wider medicinal cannabis and CBD markets, so the regulatory framework is being developed to mirror this. Dr Horniman is liaising with the relevant agencies and research hubs for Sativa’s medicinal cannabis Growing Licence application, along with working with the FSA surrounding the regulation of CBD. This helps Sativa implement its seed-to-consumer model and positions Sativa as having first mover advantage in the UK industry. Dr Horniman has been granted options over 3,076,923 ordinary shares in the Company with an exercise price of 6.5p per share. Why are Sativa Investments getting mainstream attention?